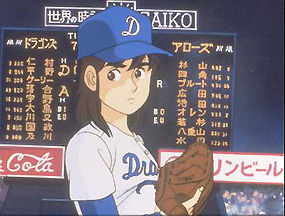 The ace pitcher of a high school baseball team, who after graduation is drafted number one by a professional team, is to everyone’s surprise, a woman. She makes a major contribution to the team in winning the championship. This story depicts the young woman’s quest to overcome her difficulties in achieving great success and is an entertaining story of baseball.